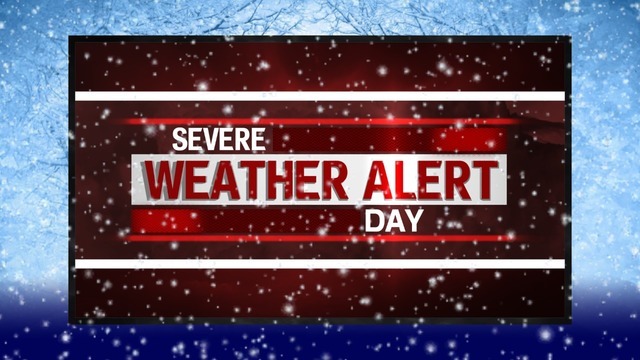 Your Local Weather Authority has declared Friday night and Saturday a Severe Weather Alert Day due to heavy snow. 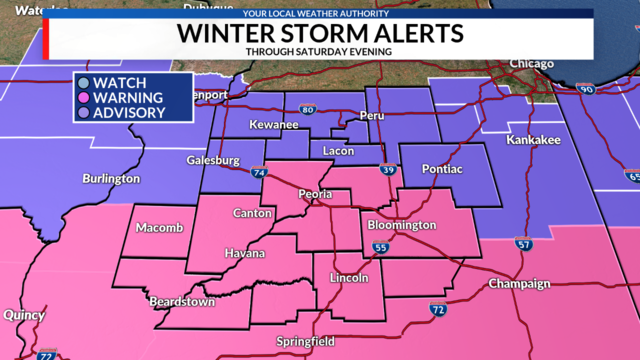 The National Weather Service has issued Winter Weather Advisories and Winter Storm Warnings for all of Central Illinois. Periods of moderate to heavy snow are expected to impact the region with widespread accumulations of 6 or more inches expected south of I-74. The main threat with this winter storm will be hazardous travel conditions everywhere along and south of I-80. 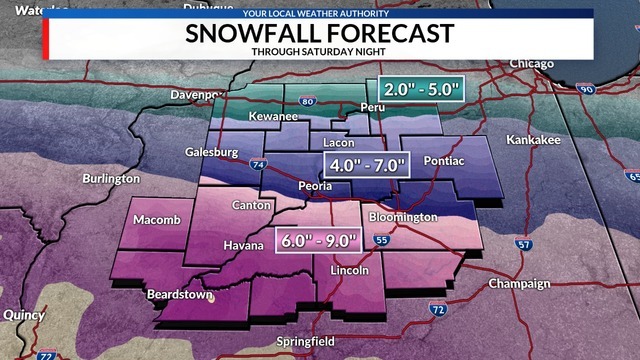 The heavy snow will make travel difficult, if not impossible, across the state of Illinois with several inches of snow expected, especially along and south of I-74. Blowing and drifting snow is not expected to be a major factor as winds will blow from the northeast at 5-15 MPH throughout the storm. Due to the wet nature of the snow, shoveling will be difficult and potentially life-threatening for the elderly. Localized power outages will be possible due to the heavy nature of the snow.